The Action 3 wheelchair is one of Invacare’s most popular chairs. An optimized design and improved functionalities make it an exciting addition to the Action family of wheelchairs. And cross-compatibility with other Invacare wheelchair parts makes the process of improving or refurbishing the chair even faster than usual. Functionality, durability, and portability are three areas where the Action 3 wheelchair is able to shine in the world of medical equipment. The Action has always been Invacare’s flagship model, and now the Action 3 wheelchair continues the tradition of excellence with more improvements. 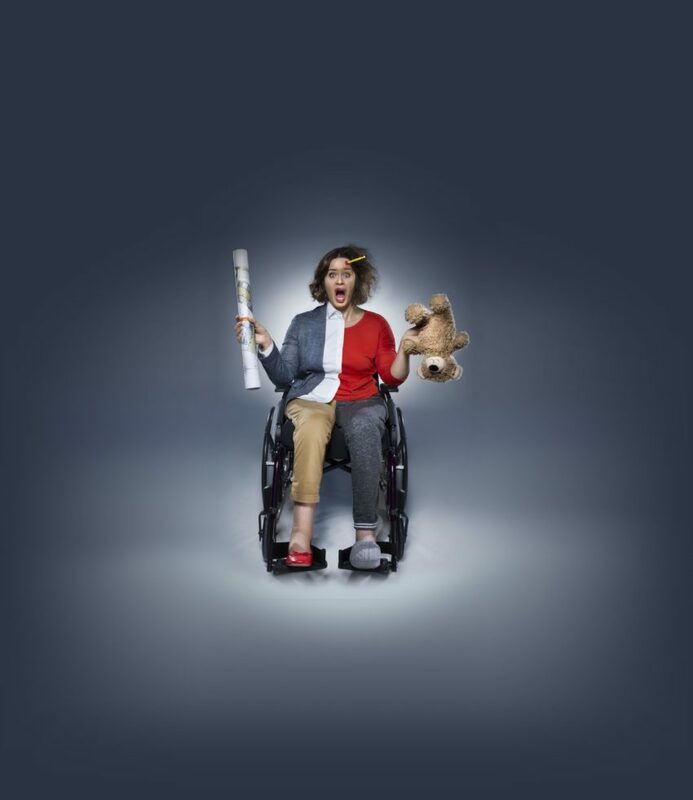 The Action 3 wheelchair has an innovative design that improves stability and comfort. A cross bar with a folding mechanism is located under the seat. This improves stability, and it also makes folding and unfolding even easier! The footplate has also been restyled. The fixed footrest offers more comfort and has additional space for the feet, while being removable to allow for folding. The swing-in, swing-out footplate option has an easy-to-operate quick release mechanism. And there is the option to choose a one piece footplate that is adjustable in both depth and angle. The backrest also features tension-adjustable upholstery that can be adjusted for appropriate spinal support and increased comfort. The Action 3 is also very long-lasting and durable. With many features and options, it can accommodate changes in user needs. It is also easy to refurbish. A second-generation wheelchair, the Action 3 wheelchair is able to pull parts from the other Action family models. The Action family has a proven track record of being an excellent chair. The Action 3 wheelchair features valuable new improvements, but not at the expense of the user being able to easily access parts and use them for repairs. The Action 3 wheelchair is easy to transport. With its lightweight and foldable backrest, the Action3 is easy to fold and to dismantle. It easily fits inside a small car. The total weight is 14.2 kilograms. This makes it much easier to handle, fold, and store. The backrest is foldable, as well as the brake handles. Foldable brake handles not only help with side transfers, but it can help fold the chair up just a little more compactly. 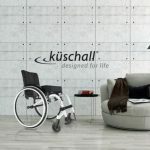 The wheels not only have improved dual handrim propulsion but also feature a QR (quick release) mechanism that makes the chair easily foldable. And with removable legrests, armrests, and wheels, the transportation weight can be brought all the way down to 7.6kg. Besides improved functionality, durability, and portability, the Action 3 wheelchair offers a variety of features and options. There are seven different armrest types that can be interchanged. Anti-tip devices can be added to provide extra stability on uneven ground. A transparent tray is available for mealtime, or activities such as reading. A cane holder can be placed on the back to hold canes or forearm crutches securely to the wheelchair. And four different backrest options should give users something to meet their needs, which compliment the three cushion choices. Additionally, one arm lever drive is available for users with low muscle tone. They can use one arm to activate the lever pendular motion, which propels the chair forward or backward. Steering and braking are also integrated. The Action 3 wheelchair continues the Action family tradition of excellence with its improved functionality, durability, and portability. Add to that the fact there are five frame colours to choose from, as well as a bi-material seat back cover, and you can add a splash of personality to finish off the package. 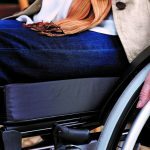 Does your self-propelling wheelchair meet your individual needs?